“…The singer-songwriter in me knows life is intense. It just is, a lot of the time. I find that as I talk to people at shows, their lives parallel that. They want to tell me their stories of tragedy. And a lot of times those stories end with, ‘This song of yours really helped me get through that.’ I want to speak into the midst of people’s pain, or whatever they’re going through, as best I can…” Losing her sight at a very young age, singer/songwriter Ginny Owens has decided every time she releases a stellar and poignant album, not to let the devil win, and she has proved that God can turn adversity around for His glory, in her new studio album I Know A Secret, released via ChickPower Music, her own indie record label. Having also studied writing at Columbia recently, as well as teaching songwriting at a middle school, this new album is her most personal yet, and reminds us that God is with us even when we can’t see Him. Having already released many Dove Award nominated and critically acclaimed albums, Ginny has composed and beautifully crafted 14 melodies of heart, honesty and vulnerability as we are introduced to one of the most emotional and personal albums off 2014! One of the most musically diverse and refreshing albums over the past few months, with r&b, soul, pop, ccm and jazz all infused together, this album is sure to be impacting on any and all who listen. Monroe Jones has produced this record to perfection! From the word go, we are introduced to a slightly more CCM album overall than the 2011 offering. Though this is not a bad thing at all, as I’m a lover of all things CCM. Yet there is still Ginny’s signature flair of r&b and jazz infused, and that is no more present than in the emphatic title track. Led by keys, the mid tempo ballad reminds that through metaphors and imagery, that whenever we all feel hopeless and useless, we can call on God and He can help us in our struggles. As Ginny relays to us that ‘…I know a secret, in the darkest night when I’m far from home…when all is right and good at home…in the highest heights and the lowest lows…it’s found in You and You alone…’, we are given the peace and understanding that Jesus is on our side, and that we can be secure in His faithfulness. What a brilliant opener full of hope and reassurance, well done Ginny for showing us that no problem is big enough for God. Quite a few tracks on the rest of the album are pretty standard musically, and are radio friendly, however it is these simple lyrics that hit me quite hard and challenge me to live more actively for Christ. “What My Life Is For” has a CCM/pop feel, littered with electronics, pulsating drums and led by keys, yet the simple music is only a vehicle for Ginny to pose challenging questions, in particular how we live our life in relation to interacting with others and living in our own little worlds or not. As Ginny directs us to ‘…give a little more, take a little less, live like there’s no tomorrow, say a little thanks for every little thing cause what I have is borrowed, it’s time to make a change, to let go of everything…’; we receive the sense that this song is “My Own Little World 2.0” or “Give Them Jesus 2.0), building upon Matthew West’s theme of community and interacting with people, and Jaci Velasquez’s theme of showing people God’s love through our actions and love, with is a great reminder of how we should be towards anyone we meet. “I Will Praise You”, led by the acoustic guitar, is a slow paced ballad that is in essence a worship song to God, inspired by Psalm 42, and outlining that we can praise God ‘…in the deep, for its there that my eyes see the truth, when I dance for joy or when I weep, I will praise You…’. The song reminds me of what Job must have been feeling when he cried out to God, and thematically is similar to Matt Redman’s “Blessed Be Your Name”- the fact that we can and should praise God in all circumstances because He is holy and worthy. Similarly, the vibrant piano pop jazz infused tune of “Deeper”, inclusive of handclaps, where Ginny channels her Plumb voice, is also a worship melody to God, as we sing along with Ginny about pursuing and learning about God more. As Ginny declares that ‘…Your arms are open, and so I’m going deeper…’, we realize that there’s so much to God that we don’t know, and that part is worth exploring and worth being in relationship with Him. The album then slows down a bit tempo-wise, as “Made For More” is a piano led contemplative and reflective ballad. Lyrically a piece meant to reassure us about how we are made for more than just breathing and that God has a perfect plan for us, verses like Philippians 4:6-7 and Jeremiah 29:11 spring to mind, as Ginny gives us peace and hope about how our life can change for the better and have meaning and purpose if we let it and give into the plans of Jesus, even if we don’t understand the reasoning. “All Things” is a banjo (or is it ukulele?) led country/folk led revealing and confronting mid tempo melody, with Ginny singing about losing our life for Jesus, and laying down our grudges, our everything to him, and losing all things for the sake of the Kingdom. This concept is pretty hard to grasp (because really who is going to drop the life they know and follow based on something that can’t be scientifically tested? ), but as we as Christians know, Jesus has demonstrated time and time again how much He loves us, so the very least we can do is devote our life completely to Him in whatever we do, not living for ourselves. The piano pop first single, and catchy “No Borders” is next. Delving into the concept of building up walls and protecting ourselves from heartache, we realise later in the song that God breaks down our borders, and heals our wounds so that we can trust Him and love others and ourselves in His almighty plan. With the 1 minute “O The Deep” being an inspiring acappella re-recording of the well-known hymn against the backdrop of an antique wartime radio broadcast, bridging the first and last half of the album together, Ginny’s offerings near the end of the album are just as strong as the first half. “Stumblin’” is an unusual song musically, as it takes elements from computer games, Christmas melodies and remix/dance tracks, as it infuses a variety of genres (r&b, jazz, folk and pop) while still relaying an important and poignant message. Ginny gracefully outlines that as we go through this journey called life that God will be walking beside us and will catch us when we fall, and help us when we screw up- and this is very comforting to us and reassuring. “What You Believe” is a rousing acoustic guitar rocker, where Ginny assuredly and unequivocally reminds us that our actions speak louder than words, and gently points out that as Christians we need to live out our faith, and ‘…live what you believe…walk in truth…love with all your heart…the world is watching you…’. In a world where everyone can say something different to how they act, it’s refreshing to hear a song affirming the fact that what we believe should be reflected in our actions. Otherwise how can we be authentic and real to non-Christians and those we share God’s love to? While the acoustic guitar led album closer “Don’t Waste Your Life” inspires us to live in the moment, and not to passively hope and pray for a better day and a more appropriate opportunity to do what we want to do. Because God has placed us on this earth for a reason, we should be grateful for the opportunities He gives us, instead of grumbling and wanting something better. But it is in the piano only ballads where Ginny shines the most vocally and lyrically! “In The Darkness”, with light strings in the background, is an emphatic ballad that speaks about the feeling of hopelessness in this life, and the unending hope and security that we have in Jesus; no matter what situation we’re facing, that ‘…in this darkness still You find me, and You draw me to Your light, though the shadows is deep, I can see in the darkness, still You shine…’. While “I Am Yours” is a surrendering prayer to Jesus, depicting how devoted we are to Him, as Ginny gently asks God to ‘…write Your name on my heart, I am Yours…take my life, take my all…’, where Ginny reminds us of Christy Nockels vocally in this album highlight. “Without You” though is the pinnacle of the album, as it shows us a heartfelt prayer that we should all be able to proclaim, that we can’t live without Jesus, because of the amazing things He’s done in our lives. It’s kind of a testimony type song, and this and other piano prominent songs, may be simple musically, however these ballads accentuate Ginny’s vocals more in my opinion, and add more depth and variety to an already solid and musically diverse album. 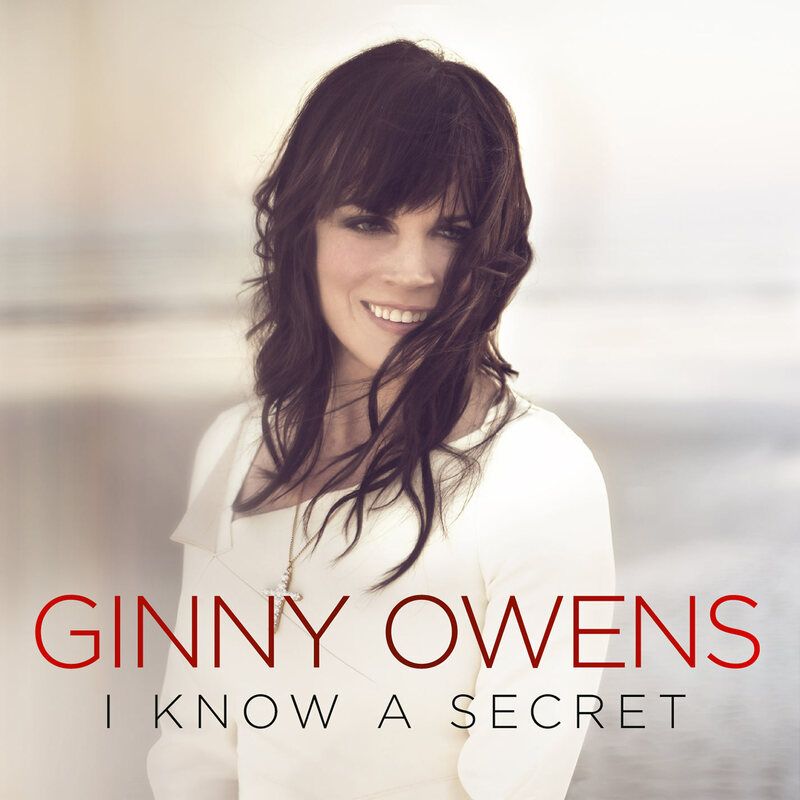 It’s clear that slower paced ballads are her forte, so I congratulate Ginny for unveiling her best ballads yet! “…I don’t feel like I’m here to save the world. My goals aren’t that lofty. But I feel like life is about us living in each other’s stories, and our stories intertwining. 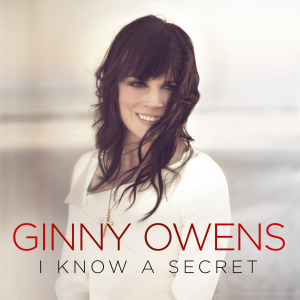 My role is to be an encourager through music…” Ginny Owens’ latest record I Know A Secret explores the overall theme of God being with us and showing us His path for our life, and Ginny has definitely stretched many lyrical and musical boundaries as she releases her first album on her newly formed indie label. Reminding me vocally of artists like Nicole C Mullen, Dara Maclean and Plumb; this is an album for quiet contemplation, reflection and corporate or personal worship, as we continue to grasp and understand the love and affections that God lavishes over us. Well done Ginny for such a personal, emotional, and refreshing album that has reaffirmed my love for many genres, especially the soul/jazz genre!